The reason that humans shifted away from hunting and gathering and into agriculture – a much more labor-intensive process – has always been a conundrum. It is particularly confusing because the shift happened independently in about a dozen areas across the globe. Weitzel sought to get to the root of the shift in his new paper in American Antiquity, by looking at one area of the world, the Eastern United States. In a nutshell, he looked for evidence to support either of two popular theories. One theory posits that in times of plenty, there may have been more time to start dabbling in the domestication of plants like squash and sunflowers, the latter of which were domesticated by the native peoples of Tennessee around 4,500 years ago. Weitzel set out to test both hypotheses. 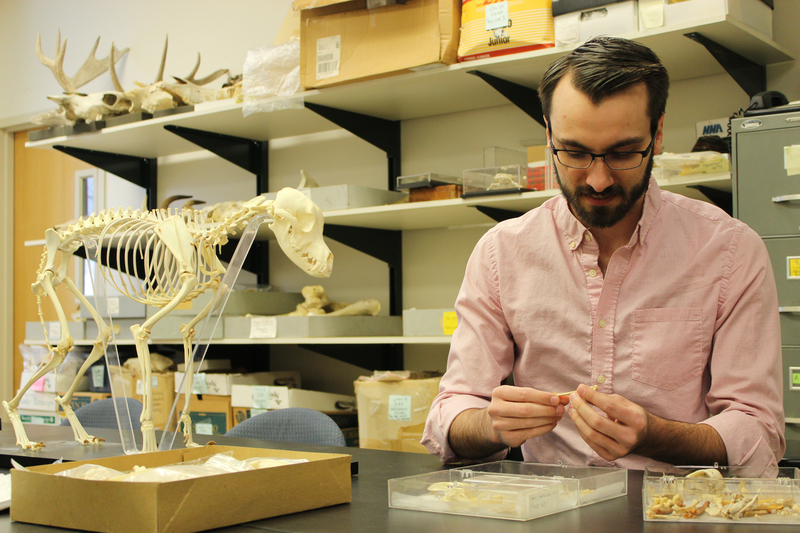 He did this by analyzing animal bones from the last 13,000 years and taken from a half-dozen archaeological sites in northern Alabama and the Tennessee River valley, where human settlements and the associated detritus offer clues about how the inhabitants lived, including what they ate. He coupled the findings with pollen data taken from sediment cores collected from lakes and wetlands, cores that serve as a record of the types of plants present at different points in time. The findings are … mixed. Taken together, those data provide evidence for the second hypothesis: There was some kind of imbalance between the growing human population and their resource base, perhaps the result of exploitation and also climate change. But Weitzel also saw support for the first hypothesis, in that an abundance of oak and hickory forest supported an equally prevalent game species population. “That is what we see in the animal bone data,” he says. A single deer or goose can feed several people, but if over-hunted, or if the landscape changes to one that is less favorable for the animal population, humans must subsist on other smaller, less efficient food sources. Agriculture, despite being hard work, may have become a necessary option to supplement diet when imbalances like these occurred. Despite the mixed results, the finding supporting domestication happening in times when there was less than an ideal amount of food is significant, says Weitzel. The broader context of this research is important, he notes, because looking to the past and seeing how these populations coped and adapted to change can help inform what modern generations should do as today’s climate warms in the coming decades.